Why pick it up from us when you don’t have to? Let our courteous and professional delivery team bring your materials right to you. Our fleet of 9 vehicles is ready and waiting to serve you. 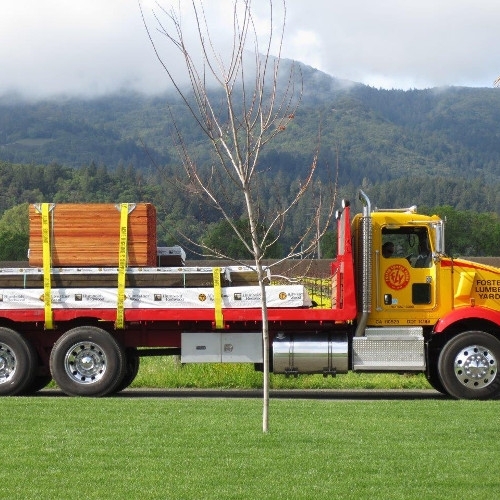 From pickup trucks to flat beds to boom trucks, we have the right vehicle for your delivery. Most importantly, our team delivers on time and in full. Let us deliver your order so you don’t have to take valuable time away from your project. We deliver to surround counties, give us a call for specifics.